Week two's Game of the Week features a rematch of the 2016 Field Series between the Bay City Bombers and Asparagus Piss Bombs. In 2017, both Asparagus and Bay City were primed for a Field Series rematch sitting atop the number one and two seeds respectively, heading into the playoffs. However, both teams ran into the red hot Featherless Chickens, who took the playoffs by storm, winning the franchise's third Field Series title. Asparagus is bringing Trout, Votto, Sale, and Bellinger back from their prior season roster, as keeper players, to match up against Bay City's Arenado, C. Seager, and Carrasco, from their 2017 campaign. Bay City narrowly won their first match-up against 2 and 18 Ain't Bad, 8-6. Asparagus got edged out in their first match-up 11-4 against Trades Squared. Asparagus, currently sitting 8.5 GB in 9th place, will look to get on the right side of the win column for the first time this season, while Bay City is looking to make a push to the higher side of .500, currently 4 GB in 5th place. Statistically, both Bay City and Asparagus had decent showings in their first week of the 2018 season. If they had faced off against each other in the first week, Bay City would have won 10-4. The Featherless Chickens' Field Series repeat campaign starts with an Opening Week matchup against Mayor McCheese. Featherless finished the 2017 regular season in sixth place with a .500 record (160-160-16), which was enough to clinch the final playoff spot. From there, Featherless made the strongest playoff push in BFBL history, winning the franchise's third Field Series title, and first for Manager, Ron D.
Mayor finished the 2017 regular season with a 146-168-22 record, one spot behind Featherless to miss the playoff cut. Mayor did make a run at the Consolation Championship, before eventually running into the hottest team in the second half, The New Guy. With a loss in the Consolation Championship, Mayor did at least get awarded the second draft position for the 2018 season. Mayor, as stated prior, was sitting in the second overall draft position as the Consolation Runner-up. Featherless, as Field Series Champion, was sitting in the tenth and final position at the turn of the draft. In-arguably the best zero keeper result came from Mayor's first selection of the reigning AL MVP, Jose Altuve. Altuve had recently exceeded the four year keeper maximum from Bay City, thus making him available in this season's draft. Featherless drafted a stud bat of his own in Manny Machado. Machado is one of the best fantasy options available and will shortly gain SS eligibility on top of being a top tier 3B option. Mayor rounded out their draft with a power bat, J.D. Martinez, and ace pitcher, Noah Syndergaard. Featherless reacquired Marcell Ozuna in the fourth round and found pitching depth in rounds five through eight with SPs Keuchel and Ray, and the best one two punch in the league for RPs, Chapman and Osuna. Both teams will be looking to start their season on a positive note as the Boston Fantasy Baseball League throws out the first pitch this Thursday, March 29, 2018. Okay, maybe I layered it on a bit thick just then. Honestly, fantasy baseball doesn't have the lure, the attraction, or even the excitement week after week that fantasy football achieves. Fantasy baseball is a marathon. 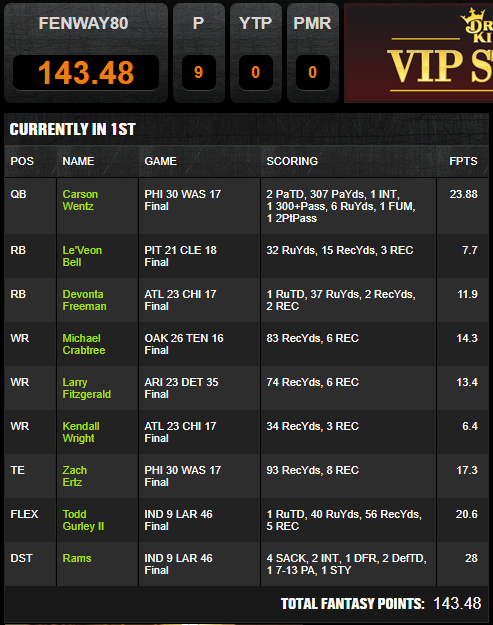 In my opinion, the only fit way to play fantasy baseball is daily lineup changes through the 162 game, 21+ week season that the Boston Fantasy Baseball League thrives on. Sure, the day-to-day format is certainly not for everyone. Let's face it, a fantasy baseball manager has to check their lineup every…single…day. They have to check the pitcher vs batter match-ups, measure if their player is on a hot/cold streak, or even which teams are playing any given, random, middle of the week day game to make sure their player is accruing the appropriate counting statistics. There's a lot of time that goes into managing a fantasy baseball team. 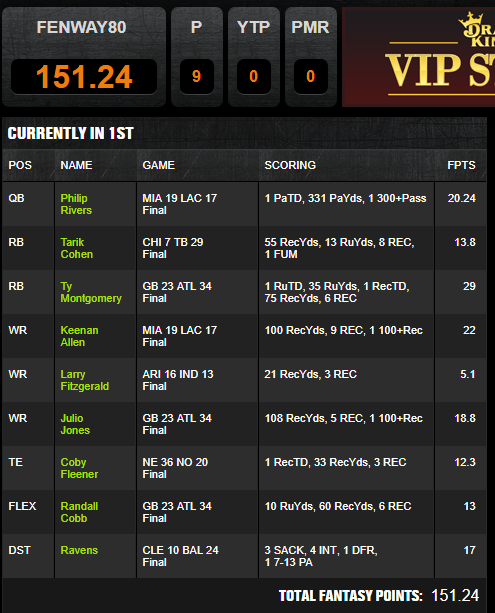 Much more time than what's required for running a fantasy football team. The average fantasy football manager waits until Friday practice reports, and weekend updates and set your lineup every Sunday (once a week). Whereas, an effective and successful fantasy baseball manager is checking their lineup daily. So once again, after the long, depressing winter, March is here. The time has come for baseball to take the front, and for the Boston Fantasy Baseball League managers to dive into their rosters and select their keeper players for 2018. 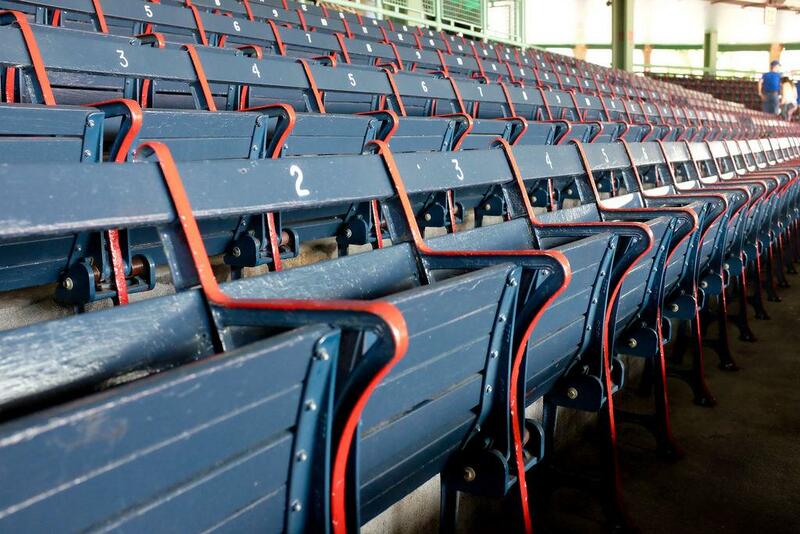 Each manager in the Boston Fantasy Baseball League can keep up to four players from their prior season roster. Those players get positioned in the first rounds of the draft. In addition, a player with a NA designation (usually a minor league player) can also be assigned as a keeper. That NA player is positioned as the final pick of the team's draft. Keeper players can only stay on one roster for four consecutive seasons as well, five consecutive if they start as a NA keeper status. This season, due to the influx of big name players that are still not signed with teams, could be the most interesting when it comes to the NA position. If these big names remain unsigned by the Season Opener, then it makes sense of keep a talented NA player as a flyer in the last round. A strong start to any team, Correa and Machado are fantasy studs and a great way to lock down the SS and 3B positions. Additionally, Machado is expected to start at SS for Baltimore, which would provide further position flexibility to that roster. Abreu has proven to be a consistent fantasy first baseman and is, without a doubt, a top four round pick who is too valuable to send back to the player pool. 2 and 18 Ain't Bad opted to keep zero players from 2016 to 2017. Aside from the fact that Asparagus Manager, Dave D., has confirmed these same four keeper selections via the league message board, I personally looked at the roster and predicted the same players. This conclusion does not take a physics degree. Trout is hands down the best player in MLB. Votto, if not in a terrible Cincinnati lineup, should have been the 2017 NL MVP. Bellinger, an up-and-coming perennial power hitter and defending NL ROY. Sale, 2017 AL Cy Young award runner-up. With that core to build around, it's no wonder Asparagus has been to two consecutive Field Series Championship games. NA Player: Vladimir Guerrero Jr.
Asparagus is also building a future core in his NA designation. Vladimir Guerrero Jr., son of recently inducted MLB Hall-of-Fame OF, Vladimir Guerrero, has been tearing the cover off the ball in A ball. Guerrero Jr. is the number four overall prospect, and top 3B prospect, ranked by MLB Pipeline. When Guerrero Jr. does get the call to The Show, we may be looking at the first NA keeper player that would warrant, or be worth the fifth consecutive season NA keeper stipulation. If kept, Trout, Votto, and Sale will all be in their third consecutive season with Asparagus. Mostly straight forward with this roster. Arenado is arguably the best 3B in MLB, Seager is a talented member of the great, young SS movement, and Carrasco is an arguable ace in a very strong Cleveland starting rotation. The Bay City Bombers have been successful in drafting a contending team every season. This however, was always centered around a strong four keeper core. It seems this season, Bay City will have to find their next centerpiece in the draft pool, the same way Arenado and Seager were added. I'll be honest, this is my team that I'm personally writing about. I find it harder to write about my own team than I do others. Maybe it's just because I'm afraid of being candid about my own thought process. So here it is; I'm on the fence about Christian Yelich. In my opinion, Yelich is a great young player. I want to have him on my team. I struggle with whether or not Yelich is a top four round player. If kept, fine. If I choose not to assign Yelich as a keeper player, then I am positioned as the 4th pick of RD4. Will a better option be available in that draft position? Lance Lynn is another player to watch for Bay City. This offseason free agent market has been slow. Based on his experience, Lynn appears to be un-signed thus far due to the lack of a very specific, multi-year, good money offer, that many teams are unwilling to put on the table this year. If Lynn remains a free agent through spring training, he would be a steal in the draft, with the NA designation, and a last round positioned pick. Bay City Bombers lost AL MVP, Jose Altuve to the player draft pool, following Altuve reaching the four consecutive season maximum in 2017. Chico's, with this projection would have the most balanced keeper selections, with two batter and two pitchers. Rizzo and Martinez are top tier batters and everyday, cement them into your lineup, fantasy starters. Kershaw is essentially the Mike Trout of pitchers. He is a fantasy player that you never let go of, if you don't have to. Just three years ago, three teams opted to keep zero players, throwing guaranteed first round picks back into the player pool for a chance to draft Kershaw after he exceeded his four season maximum on another roster. Chico's was fortunate enough to have the best draft position. My fourth projected keeper for Chico's is Strasburg. I honestly struggled with this selection. To explain why; Chico's also has Gary Sanchez as a keeper option. The best description of Sanchez' fantasy value, that I have heard this offseason, came from CBS Sports. Gary Sanchez is to fantasy baseball what Rob Gronkowski is to fantasy football. To explain, it is true that Sanchez' potential of the number one ranked catcher far exceed the projection of who would finish as the second ranked at the position. Similar to the first, to second ranked TE gap in fantasy football. Strasburg, however, since being drafted first overall in 2009, had the season we have all been waiting for last year. It's not hard to think that Strasburg won't build further on that and be just as good, if not better moving forward, at least for the next few seasons. Chico's Bail Bonds kept Gary Sanchez in 2017. If kept, Clayton Kershaw will be in his fourth consecutive season with Chico's. What if I were to tell you, the best position player on the 2017 Field Series Champion's roster was Marcell Ozuna. Ozuna had a great 2017 season, and now with a move to St. Louis, I would project him to continue this trend. Other than Ozuna, the Chickens had a strong 2017 championship run built on a non-superstar, balanced roster that just got that perfect part of the season hot streak. That's fantasy. Featherless, if keeping what I project, should start 2018 off on a good note with pitching, with DeGrom and Verlander. DeGrom is a great young arm who continues to improve. Verlander will start what will likely be a full season on the defending World Series Champion, Houston Astros rotation, which is arguably the best in baseball. Verlander is also, not to put much stock into Spring Training, lighting up the radar gun down in Florida with consistency in the high 90 mph range. Jose Bautista's name doesn't mean what it used to in terms of fantasy production. He is no longer the guy who hit bombs and bat flipped his way into a consistent starting role. However, it is worth monitoring his status through Spring Training. Bautista is still a free agent, warranting a NA designation. He has been linked to Tampa Bay, but with their recent acquisition of Carlos Gomez, I'm not sure the Rays would be willing to spend much more than that. Especially after selling off most of their roster earlier this offseason. It's my opinion that, the only path to a job for Bautista would be accepting a one year deal similar to the one Logan Morrison just accepted with Minnesota. He is the player to watch for Featherless though, because why not take a flyer on a last round NA player like Bautista, if he remains unsigned before the Season Opener? Featherless Chickens will try to repeat as Field Series Champions for the first time since the 2009-10 Magic Hat. If kept, Xander Bogaerts will be in his fourth consecutive season with Featherless. Betts and Turner didn't quite have the seasons many fantasy managers were hoping for in 2017, while still being very productive in some ways. Still, both players are young and talented fantasy contributors who are primed for a big 2018 campaign. Between Luis Severino, Yu Darvish, and Robbie Ray, Hoboglyphics has plenty of options to choose from in terms of starting pitching. It's no surprise to see early draft results have these three pitchers going one after the other. In my opinion, the pitchers to keep here are Severino and Darvish. Those two specifically, are in the best team situations. New York and Chicago have strong, top of the standings caliber rosters. Severino had a breakout 2017, and appears primed to take that a step further, with a better supporting cast, in 2018. Darvish has proven to be a strong fantasy starter. Now on a Cubs team that is one year removed from a World Series title, Darvish's stock has never been better. It is worth noting that Robbie Ray still could be on Hoboglyphics four player list. Like I stated prior, Severino, Darvish, and Ray are going one after the other in drafts for starting pitching. With no other names in-between. Similar to many other bigger free agent names this 2017-18 offseason, Gonzalez and Lucroy have still not found homes on MLB rosters. If they remain unsigned by draft day, both players would be excellent bargains as a last round NA designated keeper player. Hoboglyphics opted to keep zero players from 2016 to 2017. Mayor might be in the most intriguing positions heading into the 2018 BFBL draft. There are very limited options on this roster, Kris Bryant being the one shining light. Bryant is a guaranteed keeper player, as one of the top young players in MLB. Nothing further needs to be said about Bryant's credentials. 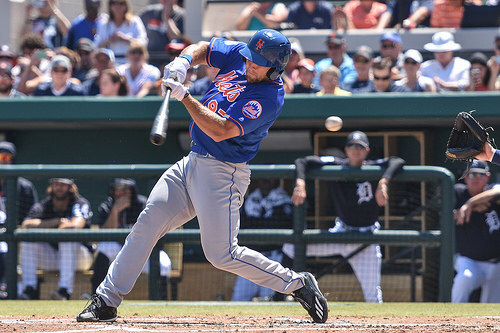 Upton and Murphy are viable fantasy options. However, What I look at when I'm analyzing a potential keeper designation is where the player is being drafted. Both Upton and Murphy are on a cusp of top four rounds, but ultimately falling more into rounds five and six, and that's likely more rated into a 12 team format, rather than the 10 team format that the BFBL is built on. By passing on a keeper designation on Upton and Murphy, Mayor would be in a much better draft position. Mayor finished as the runner-up in the Consolation Championship last season, netting the second draft position for 2018. If Bryant is the only keeper player, Mayor would be better positioned to start drafting from the player pool in the second round, likely before any other team, according to my projections. This would give Mayor the opportunity to capitalize on some very talented players that miss the keeper cut; Potentially Stephen Strasburg, Gary Sanchez, Robbie Ray, Noah Syndergaard, or even Jose Altuve who is already the top free agent target in this year's draft. Mayor McCheese opted to keep zero players from 2016 to 2017. Mayor McCheese has the second overall draft position in 2018. To start, the new Bronx Bomb Squad is an easy decision, with all the fantasy power needed to build a lineup around. Stanton, the reigning NL MVP, and Judge, 2017 ROY, and in MVP conversations in his own right. Goldschmidt is a five tool, multi-stat category contributor, who is also in a MVP conversation every season. Kluber, the reigning AL Cy Young winner, is another obvious decision. Not much more to say about this juggernaut of a starting four to build around. Reservoir assembled a great team in 2017. Apart from the four players I have listed as keepers heading into 2018, one could argue that some of the other players on this roster could be qualified Keepers on any other team. Freddie Freeman, Josh Donaldson, Chris Archer, and Dallas Keuchel are the names that I would put in the conversation. All of which, I predict will be available in this year's draft. Reservoir Dogs opted to keep zero players from 2016 to 2017. The Sand Gnats, similar to Mayor, has limited keeper options heading into the 2018 season. This presents a great opportunity for rebuilding a championship caliber roster. Back-to-back NL Cy Young winner, Max Scherzer is the obvious keeper for this team. Since Scherzer made the move from the AL to the NL, Clayton Kershaw has not won a Cy Young Award. It does indeed beg the question, is Scherzer a better fantasy option than Kershaw? I personally, think a case can be made. Any fantasy baseball manager will likely agree, catcher is a tough position at times. Having a catcher as reliable as Buster Posey on your roster can make the long, 162 game season a lot easier. When looking at catchers, the only one that's projected to be drafted in the first four rounds is Gray Sanchez. Still, Buster Posey is one of those names that can be a "reach for the player you want" mentality type, keeper option. Moustakas is another unsigned viable fantasy option similar to the other NA designation options listed throughout this article. Is Moustakas a fantasy stud? No. Is he worth having on a fantasy roster, especially as a last round pick, as a NA designation? Yes. Sand Gnats of Doom opted to keep zero players from 2016 to 2017. The biggest shake up of the 2017 season was the management replacement of the, then, CubSeeTheIvyGlory team. Manager Mitch S., since bursting on the scene of the BFBL led an overhaul of the roster and future draft picks through a series of trades. Ultimately, The New Guy not only flipped the entire roster for better draft positioning in 2018, but also added Blackmon and Springer in a blockbuster that sent Anthony Rizzo to Chico's. A manager doesn't make trades for key players like Blackmon and Springer without the intention on a longer term commitment. Blackmon, who was in the NL MVP conversation at one point, and as long as his home field is Coors, then he is a keeper lock. Springer is a key member of a talented World Series Champion lineup in Houston and is still on the upswing of his career. Probably the biggest keeper players on The New Guy's roster are Harper and Lindor. It's hard to believe that Bryce Harper is still only 25 years old, as he has already been in the league for six years, after debuting at the age of 19 in 2012. He has a lot of bigger and better seasons ahead of him. Likely, even more productive than what we have seen thus far. I know. Exciting. Lindor is inarguably, one of the top members of the young SS wave in MLB. He has always been known for his glove and fielding ability; Always his main weapon coming up through the minors. However, since reaching The Show a few short seasons ago, he's hitting. Lindor is just straight up raking at the big league level. Should be interesting to see where his career continues to go. If kept, Bryce Harper will be in his third consecutive season with The New Guy. Brendan Rodgers is currently sitting in the NA designated position. The 2018 keeper deadline for the Boston Fantasy Baseball League is Sunday, March 18, 2018. The draft is one week later on Sunday, March 25, 2018 at 8:15pm Eastern Baseball Time. Due to the inactivity of this MLB offseason, this should be an interesting fantasy draft. What remains to be seen is how many serviceable fantasy options remain unsigned before the keeper deadline. We could see a record number of NA designated players kept as last round picks. As we ring in the new year, it is once again time to turn the page to another fantasy baseball season in the Boston Fantasy Baseball League! Above, are the final standings for the 2017 Season. The Featherless Chickens celebrated their third Field Series Championship in franchise history, notching the first for Manager, Ron D. since taking the helm in 2011. The Asparagus Piss Bombs and Bay City Bombers both made trades down the stretch of the season for key assets to make deep playoff runs. 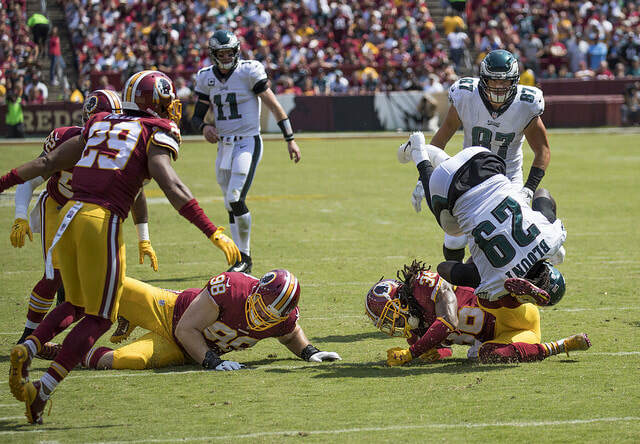 Both teams exchanged 2018 mid-to-late round draft picks in exchange for late round picks, and both fell short in the playoffs. The Piss Bombs added starting pitcher Marcus Stroman and relievers, AJ Ramos and Brandon Kintzler to bolster their record setting pitching roster. The Bombers added Marlins bats, JT Realmuto and Christian Yelich. 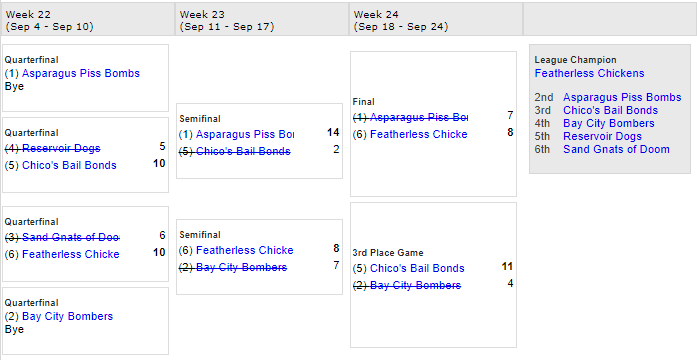 When it was all said and done, the six seed heading into the playoffs, Featherless Chickens lined up a run, never seen before in the BFBL. They took down all top three seeds, beating the three seed Sand Gnats, two seed Bombers, and finally the one seed Asparagus in the Field Series Championship. 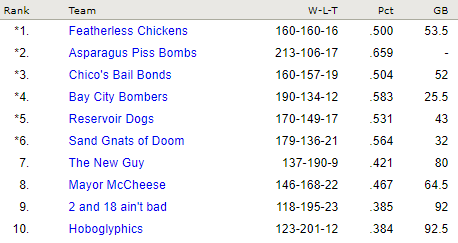 The Featherless Chickens will look to defend their Field Series Championship and take back-to-back titles for the first time since Magic Hat in 2009-2010. Looking to 2018, the story lines are plentiful. Can the Featherless Chickens repeat as Field Series Champions? The Asparagus Piss Bombs, winners of back-to-back League Pennants, will look to take their season full fold and bring home the real hardware in the Field Series Playoffs. The Bay City Bombers, finishing the season out of the Field Series Championship game for the first time in five seasons (Two Championships in time period) will look to bounce back. The biggest storyline? The New Guy and Manager, Mitch S., who had the best Win Percentage in the league (.611) since joining mid-season, will compete in a full 2018 season, already set-up for success. Already touched on prior, the Bombers and Asparagus traded 2018 picks for players to make playoff runs. Mitch S., since joining mid-season recognized a team not only out of competition for the current season, but a team with deep potential. 'The New Guy,' both literally and figuratively, made trades in 2017 to acquire, former team's OF Keeper Players, Charlie Blackmon and George Springer, and SS Francisco Lindor to field alongside Bryce Harper to be the best team in the league in the second half. With that momentum, they not only took down the Consolation Championship to win first overall draft pick for the 2018 season, but also acquired key positions in the 2018 Draft to continue that momentum into the season. Cheers to the 2017 season, and here's to the 2018 fantasy baseball season, which is right around the corner!